I surprise myself sometimes. 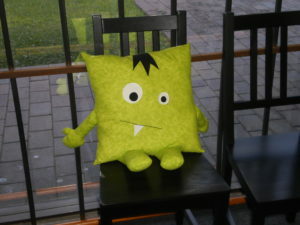 I make silly little toys like Frankie and the act of making something so simple and cute makes me feel better. Or at least distracts me from how I am currently feeling. 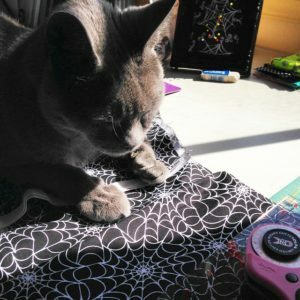 Toys are good when I have quilters block or if I just don’t feel like sewing a big job but still want to do some sewing. 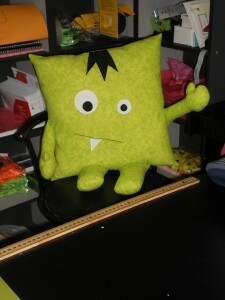 So on Thursday I made Frankie (his girlfriend still needs stuffing) and he made his appearance in the shop this morning. He came home with me on Thursday night because for some reason in the mornings I am not the most organised of people. I quite frequently leave things at home when I need them (coffee mug, toy fill, mobile phone). So when Frankie came home, he got stuffed (haha!) and mum stitched his head closed. For those of you who don’t know me I am the most atrocious of hand sewers. Mum enjoys it so she gets the work. It’s not so much that I won’t do it (and believe me there are a few quilts with the bindings sewn by me that look like a drunk spider crawled across it) but I don’t like to do it. Hand-sewing is not my forte and I don’t push the issue. 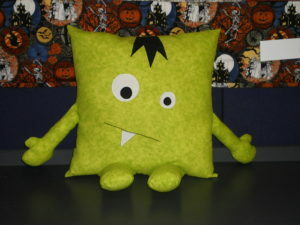 So Frankie is part toy, part cushion – definitely in the spirit of Frankenstein’s monster. His girlfriend will be finished on Tuesday so I’ll upload some pics of her. Her name is Bridie. I am going to make them up as patterns/kits so if anyone is interested please email me. 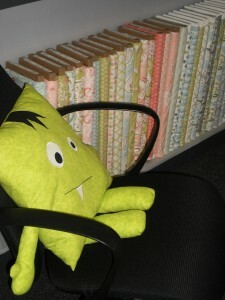 Frankie looking at the halloween quilt. Looking at the new fabrics - Bella Butterfly. Australia Day on Thursday – please note we are closed. Any public holiday we are closed. 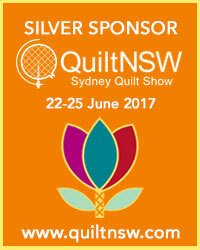 I have orders to fill and quilt tops to stitch. 🙂 But that’s par for the course. I am also looking at starting a swap – anyone interested please email me frankensteinsfabrics@hotmail.com – I will send you the information. It will be patchwork postcards made and sent (like to a penpal) every two months. Anyone can be involved and are more than welcome. The more the merrier. I’m off to be now to read my book.